The atmosphere at the Première of Jeanie Finlay’s lastest documentary, Pantomime, lived up to the film’s title. 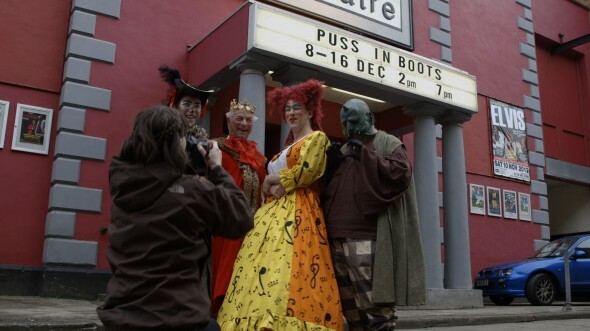 The main auditorium at Nottingham’s Broadway Cinema was packed with excited members of The People’s Theatre company, taking a precious night off from rehearsing this year’s panto to see how Jeanie had told their story. Audience interaction began before Steven Shiel, who introduced the film, had reached the stage and continued joyously throughout the evening. The screening itself was accompanied by groans and giggles as people saw themselves and, more importantly, saw how Jeanie had captured the spirit of amateur theatre. Pantomime has been a risk for everyone involved. Filmed on a shoestring in the gaps between other projects, Jeanie made the documentary because she fell in love with the theatre and its people. That shows in the resulting film, and accounts for why the BBC not only picked up the film but are screening the full length version in the run-up to Christmas. 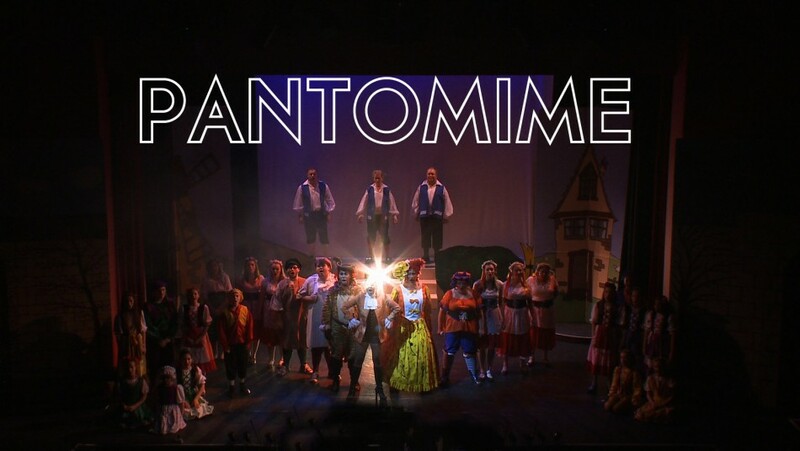 You can watch Pantomime on BBC4 at 9.25pm on Monday evening, and on the BBC iPlayer afterwards. Don’t miss it! The special challenge of all documentary art (which is the essence of Regular Marvels) is to represent a truthful portrait of the people you are working with to them. Of course, the work will go off and be seen or read by audiences who know only what you tell them of your subject. Then, as with any similar work, documentary art must sink or swim in the estimation of those who encounter it. But before then, it must be seen by those who are its subject. The invitation you make to them, when asking them to be involved, is to look at themselves straight in a mirror, to see themselves as others see them. It’s a brave thing to do – like getting up on stage but without the costume and make up. It takes trust on both sides, because unless it’s truthful it is a waste of time, and unless it’s done with care (in every sense of the word) it isn’t worth doing at all. There are so many traps for the artist here: sentimentality, compromise, flattery, deception. So it was moving to hear so many of those who feature in the film speak after that first screening about how well Jeanie had told their story and how happy they were that they had invited her in. PS To read Where We Dream, the Regular Marvels book about West Bromwich Operatic Society, click here for a free download.